Here are the first of my handmade Christmas gifts (well actually these were a birthday present). At some point my friends are going to ask me to stop making them jewellery and go to a shop and by them a real-life present but until then its handmade all the way. 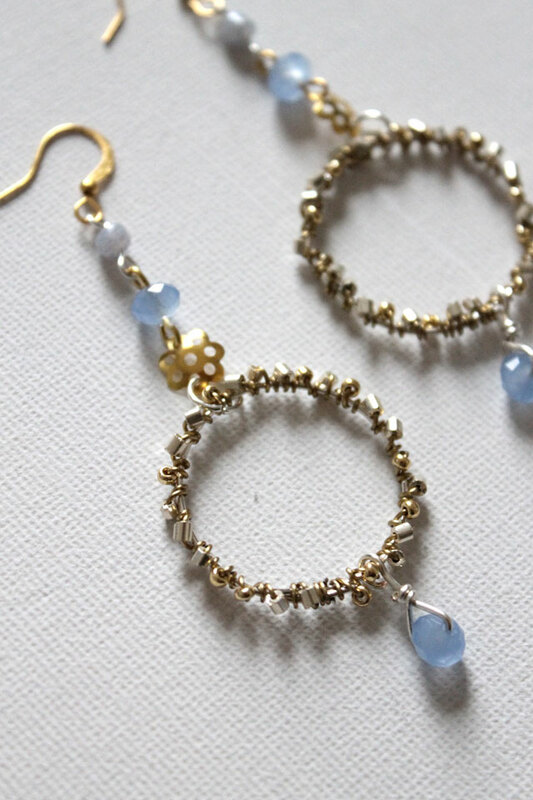 I made these for my friends thirtieth, based on these, I made a delicate hoop wrapped with gold and silver beads and pretty blue stones, she wore them straight away which I am taking as a good sign! so cute! love the touch of blue!